Carphone Warehouse has finally agreed terms with the BPI, who had been threatening the company with legal action for not cutting off its customers for downloading music illegally. TalkTalk, which is a subsidiary of Carphone Warehouse, was the first ISP to state publicly that it would NOT enforce the BPI's 'three-strikes and you're out' policy. Back in April this year, Charles Dunstone, CEO, The Carphone Warehouse Group, spoke to the The Telegraph and said: "[The BPI] have been quite heavy-handed in the way they have threatened us. "They are trying to position this as 'we are friendly and we all want to work together,' but they are threatening legal action in their first letter to me." It seems that the company is now following the line with the BPI, having signed up to the institutes's Memorandum of Understanding (MOU) – one of six main ISPs to have done so. 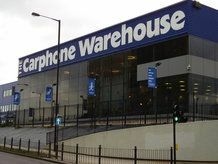 In a statement today, Dunstone explained Carphone Warehouse's stance on the new BPI initiative: "It is not our job to tell customers what they should or shouldn't be doing but we believe it is in their interests to warn them that they are being accused of wrongdoing," says Dunstone. "We will not divulge a customer's details or disconnect them on the say so of the content industry, but we will work with rights holders to develop a sensible and legal approach founded on protecting consumer rights and privacy." In the statement, the company also calls the MOU a "test", explaining that: "As part of the agreement TalkTalk will take part in a test to write to customers to tell them that rights holders (such as music or film companies) are alleging that their broadband connection has been used to illegally offer content for upload." The MOU is part of a three-month consultation period that is being conducted by BERR (the Department for Business Enterprise and Regulatory Reform). The consultation is titled: 'Consultation On Legislative Options To Address Illicit Peer-to-Peer File-Sharing', and is available to read on BERR's website . Warning: at 66 pages long it's a bit of a beast!